West Ham’s owners David Sullivan and David Gold are not looking for investment despite takeover reports, BBC Sport understands. Liverpool’s defensive frailties are exposed again as West Ham climb out of the Premier League relegation zone with a draw at Anfield. Arsenal move up to second in the Premier League table with an emphatic victory over West Ham at London Stadium. Manchester United ease into the EFL Cup semi-finals as they beat West Ham with manager Jose Mourinho absent from the Old Trafford dugout. West Ham and Senegal striker Diafra Sakho will be out for six weeks with a thigh injury, his club confirm. West Ham manager Slaven Bilic says he is “not fearful” of losing his job and has the support of the club’s owners. Blackburn Rovers end the season-long loan spell of winger Martin Samuelsen and he returns to West Ham United. Tottenham maintain their unbeaten start to the Premier League season as Harry Kane strikes twice in a 3-2 win over West Ham. Two men are given football banning orders following crowd trouble at West Ham’s 2-1 win over Chelsea at the London Stadium. Ten Premier League players are nominated for the Best Fifa Men’s Player 2016, including Jamie Vardy, Riyad Mahrez and N’Golo Kante. BBC sports editor Dan Roan examines the row over the cost of converting London’s Olympic Stadium into a football ground. Campaigners welcome the ordering of an investigation into a £50m increase in the cost of converting West Ham’s London Stadium. Manchester United’s reward for knocking out holders Manchester City is a home EFL Cup quarter-final tie with West Ham. Police officers could be deployed inside West Ham’s London Stadium for Wednesday’s EFL Cup tie against Chelsea. Former Cameroon international Rigobert Song comes out of a two-day coma and is set to be moved to France for further treatment. Southampton’s attacking display in their 3-0 victory at West Ham deserves credit, says MOTD2 pundit Kevin Kilbane. West Ham are in “disarray” and boss Slaven Bilic has to perform “major surgery” to solve their problems, says BBC pundit Chris Sutton. Preview followed by live coverage of Saturday’s Premier League game between West Bromwich Albion and West Ham United. Watford captain Troy Deeney says his team was motivated to fight back from 2-0 down at West Ham because they felt they were being embarrassed. West Ham could sign Italian forward Simone Zaza from Juventus on Friday, Hammers manager Slaven Bilic confirms. Preview followed by live coverage of Sunday’s Premier League game between West Ham United and Bournemouth. League One side Gillingham sign West Ham defender Josh Pask on a season-long loan deal. After more than 380,000 people took part in our Euro 2016 Predictor game, BBC Sport launches a new version for the domestic season. 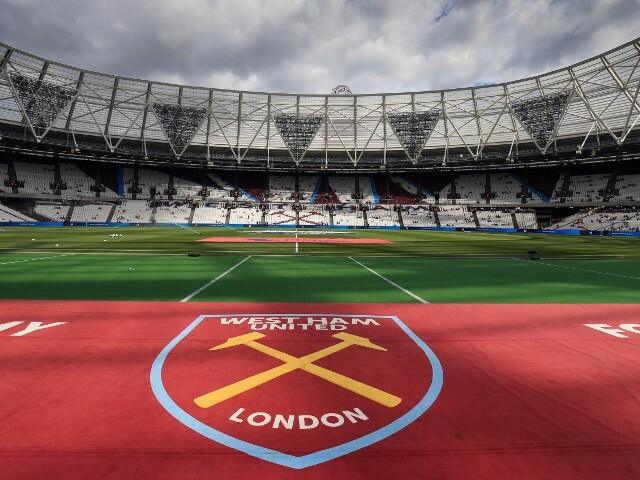 West Ham will host either Shakhtyor Soligorsk or NK Domzale in the third qualifying round of the Europa League when they play at the Olympic Stadium for the first time. West Ham have signed England Under-20 international striker Ashley Fletcher from Manchester United. West Ham are in negotiations with Italian giants AC Milan over the transfer of Colombia striker Carlos Bacca.